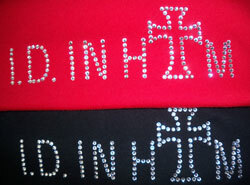 ORDER YOUR COPY TODAY & SAVE ON PACKAGE DEALS! Similar to the natural crime, many victims of spiritual identity theft are not even aware that their spiritual identity has been stolen. This kind of theft may go unaddressed for many years until they face a difficult situation and suddenly discover that their identity has been stolen in the process. In Identity Theft: Discovering the Real You, DeMonica D. Gladney provides an inspiring and real life, first-hand account of her personal encounter with identity theft. Many years ago, an imposter secretly stole her natural identity by snatching her good name, money and credit. 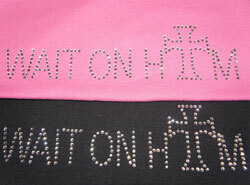 Simultaneously, the enemy began to subtly steal her spiritual identity by attacking her God-given purpose and destiny. Through both challenging and life-altering experiences, which occurred years after her near fatal car accident, Gladney gained a powerful revelation and insight about the keys to reclaiming one’s “real” identity. 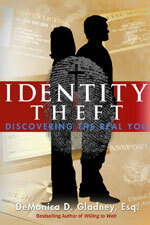 In a unique, thought provoking approach in Identity Theft, she merges natural and spiritual identity theft together from a biblical perspective to give you a step-by-step roadmap to recover your stolen identity. “We've all heard of identity theft, but what most people don't know is that their spiritual identity can be stolen as well. Many Christians live defeated lives simply because they do not know who they are as children of God. In DeMonica Gladney's latest book, Identity Theft: Discovering the Real You, readers will discover the tricks the devil uses to rob them of their spiritual identity and cause them to live unfulfilled lives. DeMonica Gladney draws on her own story of physical identity theft to give readers a fresh perspective on living the Christian like life. Not only does Gladney give us steps to take to avoid being victims of identity theft, but she outlines for us how to proactively protect ourselves from spiritual identity theft by knowing God's Word; knowing how to fast and pray; knowing the enemy's devices; and knowing our authority as Christians. Follow these four steps and you will not only be able to recapture your stolen spiritual identity, but you can prevent the enemy from stealing your identity in the first place…You will be blessed. We highly recommend this book. Willing to Wait is a practical and insightful guide for those who are frustrated or impatient about being in God’s “waiting” room. 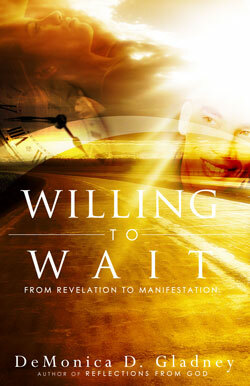 Not only does Willing to Wait show you “how” to wait, it walks you step-by-step through the waiting process that we all must go through in preparation for receiving God’s blessings. Whether you’re waiting on a financial miracle, divine healing, or the right mate, the reassuring answers you are looking for are found in this book. Willing to Wait is a must-read for those who have chosen to wait on God and are searching for the spiritual tools to empower them while they wait. 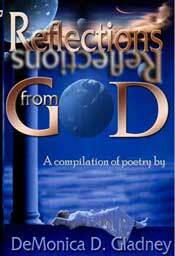 Reflections from God is a powerful and innovative collection of poems arranged around major themes such as faith, life, love and mothers as reflected through the eyes of God. Reflections from God gives new meaning to the importance of having spiritual insight into the many changes and challenges that you face in everyday life. Each poem will vividly convey to your heart and mind all of the emotions that arise when you meditate on your own life experiences. Although your spiritual vision may be blurred now, it will become clear as your read Reflections from God. What you see from here on out will be a true reflection of God's perspective on life. -- Kervin J. Smith, Ph.D.